Applicable to all visitors to this website. 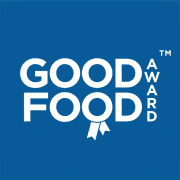 © 2002-2019 Good Food Awards E & OE, all rights reserved. 10378245. Registered Office 3001 Chynoweth House, Trevissome Park, Truro, TR4 8UN. Registered under the Data Protection Act; ZA222405.